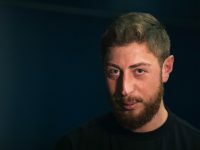 George Keburia and Situationist’s Irakli Rusadze both inserted pro-LGBTQ messages in their Spring 2019 Mercedes-Benz Fashion Week Tbilisi collections. Balenciaga creative director Demna Gvasalia commissioned photographers Johnny Dufort and Pierre Ange Carlotti to take images for the Rizzoli book Balenciaga: Winter 2018. Embellished, exotic, and exclusive as ever, couture celebrated a century and half of turning heads during Paris Fashion Week. A traumatic and violent youth served as an astonishing storyboard for the Georgian's latest collection. Why is fashion in such a Georgian state of mind? 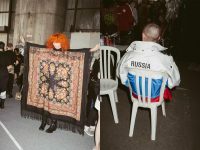 Did the "Demna Effect" cause the fashion world to put an international spotlight on Georgia? What does the rise of workwear in fashion say about our own ideas about labor in the age of automation and the Amazon warehouse?